It's not quite Friday yet...but this week we have an extra freebie! More to come tomorrow, but today's freebie is an 8x10 printable for Fall! To save, click HERE to download from box.com. That way you get the full size 8x10! School has already started back, and fall is officially right around the corner. Though it does not feel like fall outside today, before we know it we will be wearing sweaters! We used one of tomorrow's downloadable freebies to create this Fall printable, so be sure to check back tomorrow for this week's Friday Freebies! 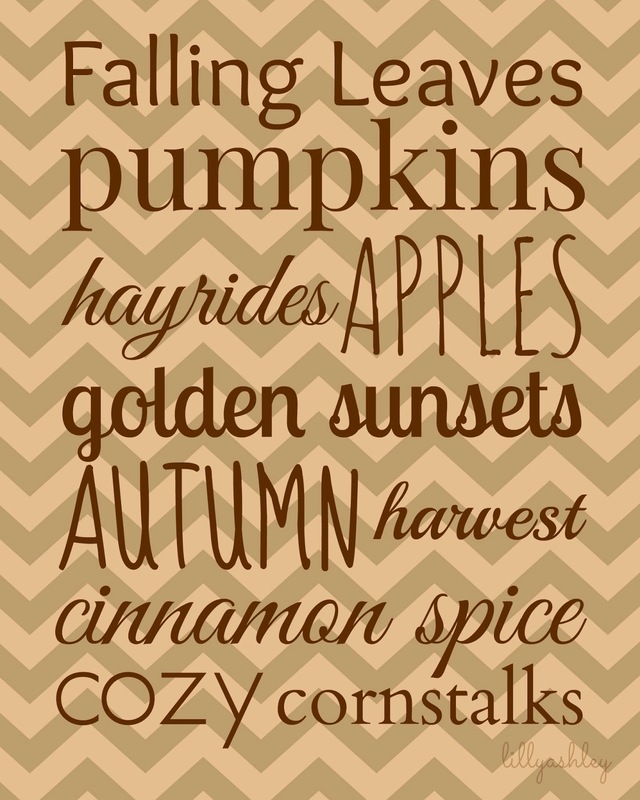 If you like this Fall printable, check out our Family Rules freebie printable -->HERE! Check back tomorrow for brand new fall chevron freebie downloads!